Jesus fully paid the debt of sin during those six hours that Friday. We owed a debt we could not pay (Matthew 18:24); He paid a debt He did not owe. As the supreme sacrifice, “This man, after he had offered one sacrifice for sins for ever, sat down on the right hand of God” (Hebrews 10:12). Jesus fulfilled the law (Matthew 5:17), which included all of its types and shadows (Hebrews 8:5; Hebrews 9:9-11;Hebrews 10:1). The Levitical system was a picture gallery of the coming Savior. By saying, “It is finished,” Jesus was saying all the pictures of Him in the tabernacle furnishings, the priestly ministry, and the sacrificial system were completely fulfilled. Of these, we focus on the sacrifices. 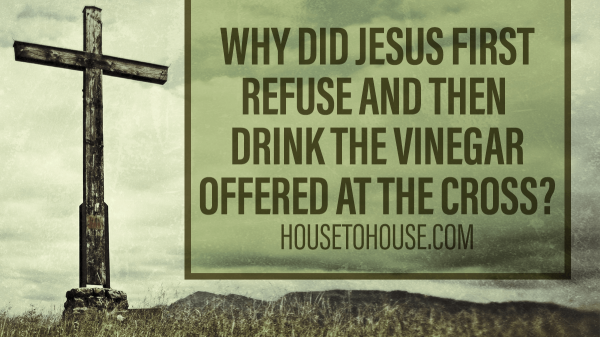 Jesus was both the priest officiating and the sacrifice. 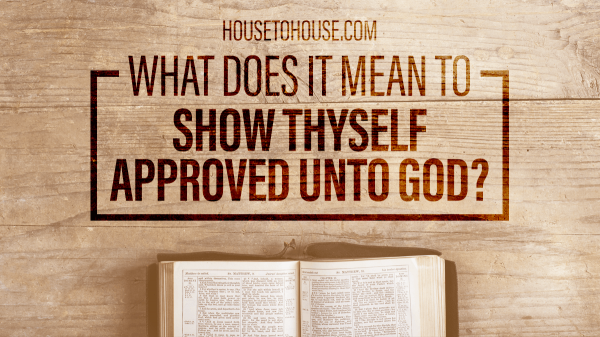 The five primary offerings under Moses’ Law are explained in Leviticus 1 – 7, and should be studied in connection with the book of Hebrews. Each is a different pose of Jesus on the cross. This sacrifice focused on the perfection of God, and expressed adoration, devotion, commitment, and complete surrender to God. A bull, ram, or bird (dove or young pigeon) was accepted. It was a voluntary act of worship and served for atonement for unintentional sin in general (Leviticus 1:4). He was a male (Leviticus 1:3; Matthew 1:21). He was without blemish (Leviticus 1:3; 1 Peter 1:19, 1 Peter 1:22-23). In Jesus was “no sin” (1 John 3:5); He “knew no sin” (2 Corinthians 5:21); He “did no sin” (1 Peter 2:22); He “was without sin” (Hebrews 4:15). He offered Himself voluntarily (Leviticus 1:3; John 10:18). His offering was a substitution. The worshipper was to “put his hand upon the head of the burnt offering; and it shall be accepted for him to make atonement for him” (Leviticus 1:4). He “leaned” (as the word signifies) upon its head as if to say, “I take this spotless victim to be my substitute; I lean my whole weight upon its merit.” Jesus’ death was a substitution; we lean on Him (Romans 3:23-26). He was killed “before the Lord” (Leviticus 1:5, Leviticus 1:9, Leviticus 1:13-14, Leviticus 1:17; Matthew 27:46). Nothing short of death could satisfy the altar’s claims. Under Moses’ law, the offerer killed the animal (except with birds Leviticus 1:15-17), and the priest caught the blood in a basin and sprinkled it on the sides of the altar (Leviticus 1:5, Leviticus 1:11). The animal was dismembered, and its parts washed. Then all of it (except the skin) was laid in order on the wood and burned. The transaction at the altar was not between the offerer and his conscience, the offerer and the nation, or even the offerer and the priest; it was between the offerer and the Lord. Today, as then, the wages of sin is death (Romans 3:23). Christ died “for our sins” (1 Corinthians 15:3). He died before the Lord—He addressed God three times from the cross. He was killed “northward” in respect to the altar. In the case of a sheep or goat, the animal had to be killed “northward before the Lord” (Leviticus 1:11). This means on the north side of the altar (cf. Leviticus 4:24,Leviticus 4:29, Leviticus 4:33; Leviticus 7:2). While this was possibly just a matter of convenience since there was more room on that side of the altar, it is interesting that the site of Jesus’ crucifixion (Gordon’s Calvary) was north of the city of Jerusalem and of the temple with its altar. He had His blood sprinkled upon the altar (Leviticus 1:5; 1 Peter 1:2). The primary point of the burnt offering is that it was completely consumed. No part was given back to the worshipper, as with other sacrifices. It was therefore sometimes called a “whole burnt offering” (Deuteronomy 33:10; Psalm 51:19; Mark 12:33). While Jesus’ body was not burned on the cross, He fulfilled this type because He was completely consumed in suffering. He did not just give an eye or a limb for us. He did not just take a whipping or suffer the crown or the nails. He gave His all—His back to the smiters, His cheeks to those that plucked off the hair, His face to the shame and spitting (Isaiah 50:6), His hands and feet to the nails, His side to the spear, His face to the slaps, His brow to the thorns, His ears to the cruel jests of his enemies, His heart to the forsakenness of His Father. Jesus wants us to give ourselves to Him as a “burnt” offering. Burnt offerings were daily sacrifices and therefore were the most common sacrifices in the ancient temple. Jesus perfectly submitted to God on a daily basis (John 10:17; Romans 5:19; Hebrews 10:10), and so should we (Luke 9:23;Acts 2:46; Acts 5:42; Acts 17:11; 2 Corinthians 11:28; Hebrews 3:13). Daily service qualifies us to worship when we come before God (1 Peter 1:16). The meal sacrifice could be presented at the altar in one of five forms: fine flour, oven-baked cakes, cakes baked in a pan, cakes baked in a frying pan, or crushed roasted heads of new grain. These cakes would resemble our modern baked pie crust or pizza dough. The priest offered part of it to God and kept the rest for his own use. Only the males in the priest’s family could eat it, and they had to do it in the holy place of the tabernacle (Leviticus 6:16-18), and with unleavened bread (Leviticus 2:17). This offering represents Jesus Christ as the Bread of Life (John 6:48). 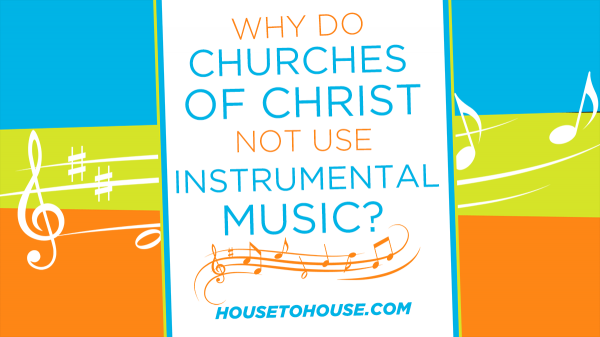 He nourishes our souls as we worship Him and ponder His Word (Acts 20:32). Jesus compared Himself to a grain of wheat that had to die before it could live again in a better form (John 12:23-25). On the cross, Jesus was crushed as “fine flour;” at the tomb the grain of wheat was buried. On resurrection morning, He came forth in a more glorious form. Since this sacrifice typified Jesus, we understand why God laid down such strict conditions for the offerer to meet before the meal offering would be accepted. The offering had to be accompanied with oil (Leviticus 2:1-2, Leviticus 2:4, Leviticus 2:6, Leviticus 2:15), a picture of the Holy Spirit of God, who was given to Christ without measure (John 3:34; Acts 10:38; 2 Corinthians 1:21-23; 1 John 2:20, 1 John 2:27). Through the eternal Spirit, He “offered himself without spot to God” (Hebrews 9:14). The offering required salt (Leviticus 2:13), which speaks of our Lord’s purity of character (cf. Matthew 5:13). 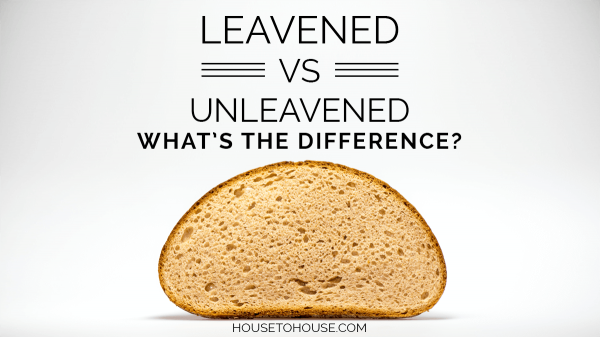 Leaven (yeast) and honey were prohibited from the meal offering (Leviticus 2:11). The Jews associated leaven with evil because of the Passover rules (Exodus 12:19-20; cf. Luke 12:1; 1 Corinthians 5:8). There was no sin in Jesus Christ (Hebrews 4:15; Hebrews 7:26; 1 Peter 2:21-22). The fact that yeast and honey both ferment is likely the reason for the prohibition. This burning grain was “a sweet savour unto the Lord” (Leviticus 2:2, Leviticus 2:9, Leviticus 2:12). The Bible often associates God’s sense of smell with offerings (Genesis 8:21; Leviticus 1:9, Leviticus 1:13, Leviticus 1:17; Leviticus 3:16; Amos 5:21). Jesus’ perfect character was always a sweet fragrance to God, and it gave His offering at Calvary a pleasant aroma to God. Paul wrote, “Walk in love, as Christ also hath loved us, and hath given himself for us an offering and a sacrifice to God for a sweet-smelling savour” (Ephesians 5:2). The meal offering focused on God’s goodness and provisions. It was a voluntary act of worship and was offered as thanks for blessing the fruits of one’s labor. This was the sacrifice of daily devotion. In application, we must come to God first with our whole burnt offering, and then we continue coming to Him with our continual meal offering. These actions are represented in Scripture as pleasing God’s sense of smell. Paul wrote, “For we are unto God a sweet savour of Christ, in them that are saved, and in them that perish” (2 Corinthians 2:15). He later mentioned that he “received of Epaphroditus the things which were sent from you, an odour of a sweet smell, a sacrifice acceptable, wellpleasing to God” (Philippians 4:18). The frankincense that was burned with the memorial portion represents prayer. David wrote, “Lord, I cry unto thee: make haste unto me; give ear unto my voice, when I cry unto thee. Let my prayer be set forth before thee as incense; and the lifting up of my hands as the evening sacrifice” (Psalm 141:1-2; cf. Revelation 5:8). It serves as a reminder of the petition, “Give us this day our daily bread” (Matthew 6:11). The peace offering focused on God as benefactor and man as seeking reconciliation. Any animal without defect from herd or flock was accepted, along with a variety of breads. It was a voluntary act of worship. Sometimes peace offerings were given in thanks for a blessing received; sometimes they were given in advance of a blessing desired. When Jesus was born it was announced, “Glory to God in the highest, and on earth peace, good will toward men” (Luke 2:14). Jesus made peace between God and man, between Jew and Gentile, and between man and his conscience (Romans 5:1, Romans 5:5-7). Christ is our peace (Ephesians 2:14, Ephesians 2:17). He has “made peace through the blood of his cross” (Colossians 1:20). The peace offering was a fellowship offering and had to do with communion with God. By contrast, the sin offering and the trespass offerings deal with cleansing from God. The peace offering was designed to provide expiation and permitted the one who made the offering to eat the meat of the sacrifice. It was often given on a joyous occasion. It foreshadowed the peace and restoration of communion that Christians have with God through our relationship as forgiven sinners (1 Corinthians 5:7-8; 1 Corinthians 10:16-18; 1 Corinthians 11:23-26). Like the prodigal of old, we have been welcomed back by the Father, seated with Him at His table, and restored as if we never sinned. This was a mandatory atonement for specific unintentional sin and required a confession of sin. Its purpose was the forgiveness of sin and cleansing from defilement. It was employed to remove impurity from the sanctuary and those worshiping in it. The required animal depended upon the station of the person or group making the sacrifice. For the high priest and congregation, a young bull was required; for a leader, a male goat; for a common person, a female goat or lamb; for the poor, a dove or pigeon; for the very poor, the tenth part of an ephah of fine flour. In this offering we see an acknowledgment of sin. In the first three offerings, man came before God as a worshipper. In the last two, man comes before God as a sinner. The shedding of animal blood could not permanently take away sin (Hebrews 10:1–4), but God did promise that the sins of the worshiper were forgiven (Leviticus 4:20, 26, 31, 35; 5:10, 13, 16, 18; 6:7). He did this on the basis of the sacrifice of Jesus Christ on the cross (Hebrews 10:5–14). For the bodies of those beasts, whose blood is brought into the sanctuary by the high priest for sin, are burned without [outside] the camp. Wherefore Jesus also, that he might sanctify the people with his own blood, suffered without the gate. Let us go forth therefore unto him without the camp, bearing his reproach (Hebrews 13:11–13). 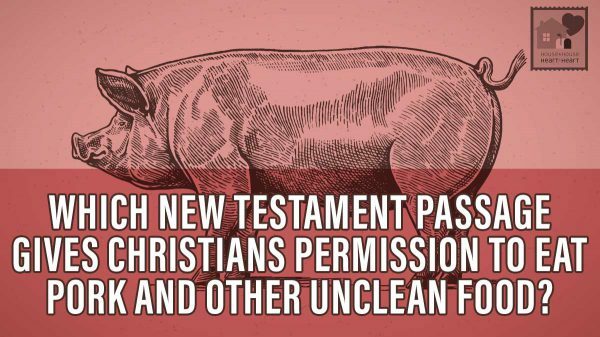 These details might seem unimportant when reading through the Exodus and Leviticus. However, even the minor detail of taking the sin out of the camp prefigured Jesus dying outside the city of Jerusalem (Mark 15:20–24; John 19:17–18). The main point is that Jesus bore our guilt. He was made sin for us on the cross (2 Corinthians 5:21; 1 Peter 2:24). Jesus suffered for sin (in a collective sense) (2 Corinthians 5:21) and sins (of individuals) (1 Peter 3:18). The sin offering taught man that God holds him accountable for sin. Sinners are spiritual criminals who have been tried, found guilty, and sentenced to death. We must not assume we are safe and right if we simply live up to our own conscience (cf. Acts 23:1). God has scales. He has standards. He has punishments assigned to violations of His law. Thus, to have any hope of heaven, a sacrifice is required. Forgiveness is called “justification,” which is a judicial term (Romans 4:25). With sin, we are guilt-ridden (James 2:10). In forgiveness, Jesus’ blood removes our guilt and releases us from the penalty of sin (Romans 3:24, 26; 5:9; Hebrews 8:12; Ezekiel 18:20; Matthew 26:28). In the law’s eyes, the penalty has been paid. This was a mandatory atonement for intentional or unintentional sin requiring restitution. Its purpose was forgiveness of sin and the cleansing from defilement. It required a ram or lamb sacrifice, and for the sinner to make restitution to the one wronged. The trespass (guilt, reparation) offering was given for violating the sanctity of property (either God’s or another person’s), usually by use of a false oath. The trespass offering included making atonement for sins knowingly committed (Leviticus 6:1–7). The blood of the trespass offering cleansed the conscience and sent the trespasser back to the one he had wronged, not only with the principal but with the fifth part added (Leviticus 6:5). The injurer was forgiven and the injured actually gained. The Bible uses the word “remission,” a financial term, for forgiveness (Acts 2:38). With sin, man is in debt to God (Matthew 6:12). We owe Him more than we can pay (Matthew 18:23–35). In forgiveness, Jesus assumed the debt for our sins and paid it (Luke 7:36–50; Romans 3:25). Jesus’ blood remits the guilt of past sins and forwards a balance of zero (Matthew 26:28; Acts 3:19). Write Christ everywhere in the book of the Old Law—for every sacrifice, for every priest, garment, and ceremony. He is all and in all in this book. How does this apply to us? 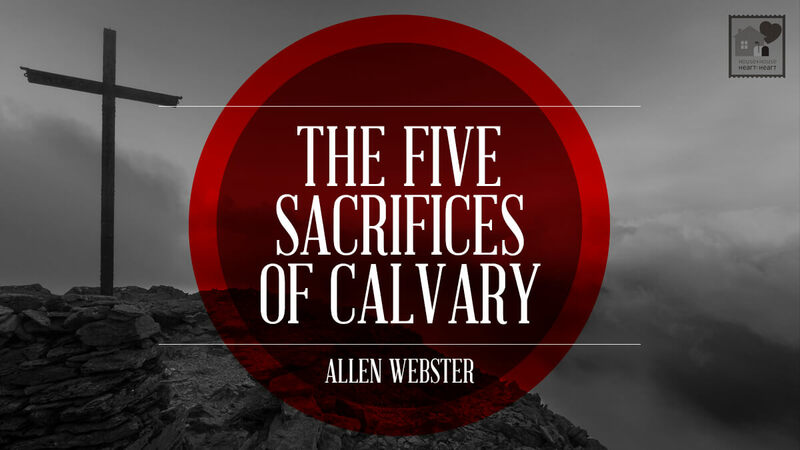 Sinners must obey the gospel to benefit from the five sacrifices of Christ. “Obeying the gospel” includes having faith in Christ as God’s Son (John 3:16; 8:24), repenting of the lifestyle of sin (Luke 13:3; Acts 17:30), confessing Christ before men (Matthew 10:32; Romans 10:9–10), and being baptized in water for the forgiveness of sins (Acts 2:36–38; 22:16; 1 Peter 3:21). One must then remain faithful (Revelation 2:10). It is a simple plan. It requires no doctor’s degree to come to the Great Physician. It does not require the strength of Samson, the wisdom of Solomon, or the courage of Daniel. It demands one to lean on the strength of the Savior, trust the wisdom of God, and fear the ravages of Satan. Come, come today!